-Yale IM Leader Katz and American College of Lifestyle Medicine Working on "True Health Coalition"
-New MS Integrative Mental Health Marks Further Evolution of the ND "Mothership"
Did Congress mean something other than what it mandated? Comment: What is more dismaying: 1) NCCIH's nearly absolute refusal to abide by the mandate from Congress; or 2) the failure of the associated professions to stand up for their rights under U.S. law? Isn't this a good place for leadership from the Integrative Healthcare Policy Consortium? There is some rumbling afoot of concerted action. It's about time. Stay tuned. * If you are of the mind that "integrative MD" was one "major systems" under consideration, bear in mind that at the time of the mandate in 1998: 1) the concept of "integrative medicine" was hardly 3-years-old in U.S. medicine; 2) there were no national standards for such a profession; 3) there were no declared competencies; 4) there was no national professional organization; 5) there was no Department of Education-recognized accrediting agency; 6) there was no national board or certification exam; and of course, 7) medical doctors with an interest in therapies in which they were neither educated nor board-certified were not "licensed in a system" of "integrative medicine." Most of these are still true, today. Note that even if NCCIH met the mandate, 9 slots remain for these professionals, as long as NCCIH continues to not have 3 consumer members also mandated. (Also in (b): "... shall include...at least 3 individuals representing the interests of individual consumers of complementary and alternative medicine. The payment and delivery system accreditor, the National Committee for Quality Assurance (NCQA), appears to have cracked open a door for accreditation of offices of community integrative health and medicine practitioners. The program responds to how patient-centered medical homes (PCMHs) or Accountable Care Organizations have relationships with clinical service providers who are neither employed nor on site. The concept is of the "medical neighborhood." Under the NCQA program, one's clinic can become an NCQA Recognized Patient-Centered Connected CareTM Site. Some examples given are of "non-primary care clinics that provide outpatient treatment (e.g., physical therapy, podiatry, optometry, dental services)." A chiropractor has reported to the Integrator that dialogue with NCQA has clarified that chiropractic offices qualify. Comment: Aficionados of the competitive environment in which accreditors operate tend to immediately view this program simply as a new business line and money-maker for the NCQA. Yet for those who have been historically excluded from the playing field by the agency's provider-centric, rather than patient-centered, accreditation practices, this does appear to be an opening. Most distinctly licensed integrative practices and MD-led integrative medicine centers are community-based, rather than medical system-based, and will be for the foreseeable future. Thus those who wish to link up with the emerging world of accountable care and health homes, this may be the route. The Integrator will follow this closely, especially because we know that when the NCQA says something, we don't know for sure what they mean. For instance, they claim to separately accredit, through their NCQA PCMH Recognition program, "sites delivering primary care services." Yet the NCQA 1) focuses only on primary care "physicians" and does not include such clinics independently run by an advance practice registered nurse; nor 2) does the category include "physicians, naturopathic" who are licensed and practice as primary care in at least half of their licensed jurisdictions. Where will the NCQA draw its boundaries with this program? Any news from anyone who begins this process will be welcome. Last fall, a team from the Academic Consortium for Complementary and Alternative Health Care (ACCAHC) published a Never Only Opioids policy brief and recommendations via the Pain Action Alliance to Implement a National Strategy (PAINS). Shortly after, work began on a tactic toward the brief's core recommendation of early intervention with non-pharmacologic approaches. Michele Maiers, DC, PhD, who heads the Chiropractic Section at the American Public Health Association (APHA) began exploring whether APHA might endorse these or similar recommendations. Maiers shares news that a formal resolution has been submitted to APHA to approve a new policy recommendation entitled "Increased role for evidence-based non-pharmacologic management of pain to decrease the opioid abuse epidemic." The paper includes many of the Never Only Opioids recommendations. Sponsoring the proposal are not only the chiropractic section but also the section on Alcohol, Tobacco and Other Drugs. Two other sections endorsed that proposal: Physical Activity, and the section on Integrative, Complementary and Traditional Health Practices led by Beth Sommers, PhD, LAc, MPH. Maiers makes clear that "this is a submission and must go through an extensive vetting process." She credits ACCAHC's Never Only Opioids for the inspiration. Comment: Colleague James Whedon, DC, MS at Dartmouth's accountable care organization group sent a brief note following an email related to the work on Never Only Opioids: "Never Only Statins." Suddenly one sees a long list of potential titles (Never Only Antibiotics, Never Only Ritalin, Never Only Beta Blockers, and etc.) We've got a regular Dummies series! In fact, each title could directly evoke that series if for example, it read: Never Only Statins, Dummy. Longtime Integrator columnist Taylor Walsh conceived and led development of the Integrative Healthcare Policy Consortium's consumer-focused CoverMyCare campaign. The goal is to help consumers partner with practitioners to drive efforts to get payers to meet the intent of the Non-Discrimination in Healthcare provision (Section 2706) of the Affordable Care Act. While many people are throwing their hands up in frustration with the refusal of most payers to comply and regulators to enforce, it is clear from this recent report in the Integrator that real work is under way in multiple states to shift access as Section 2706 requires. Walsh shares legislative activity in California, Hawaii, New Mexico, Rhode Island and Minnesota. Walsh wrote a similar piece for the Altarum Blog entitled "Nondiscrimination in Health Care"-States Stepping Up. Comment: This campaign is grassroots, and that means you. For instance: CoverMyCare welcomes the stories of other patients and providers like one Walsh features in the Integrator article. Have you or anyone you know had trouble coping with reimbursement in the context of Section 2706? A simple form is available on the campaign's page "Share Your Story." Credit Bastyr University and the American Massage Therapy Association for the organizational investment that has carried CoverMyCare to this point. Who do you know who might help it next? Note: In other CoverMyCare news, the campaign has developed an Advocacy Tool Kit. An easy place to start, besides having patients share a story, as noted above, is to urge members and friends to go to CMC's Facebook page. As noted in the February 2015 Integrator Round-up, multiple industry or industry-related organizations connected to herbal products and dietary supplements quickly circled their wagons after an attack on product quality from New York State Attorney General Eric Schneiderman. Their case: the DNA test that found zero evidence of herbs in some products is an inappropriate test. As noted in the Round-up, credible third parties, including many who have been vigilant critics of the industry, agree with the industry position that the AG is wrong. (See Don't Give Up On Your Supplements Yet: Why That Damning Report Was Fatally Flawed.) A moderate voice from the New York Botanical Gardens notes here additionally that "it is difficult to evaluate the test results provided by the attorney general's office due to the lack of the study protocol." American Botanical Council's Mark Blumenthal laid out the scientific case here. He writes: "ABC is not attempting to defend the tested products or the companies; instead, we, and many others, question the appropriateness of the analytical method and scientific protocol used in this case, on which legal and regulatory enforcement actions have been based. One of many problems is that consumers have a misunderstanding of the relevance of DNA in herbal extracts due to some popular media such as television crime dramas, and will presume that the NY AG's methods and data are accurate and sufficient." The American Herbal Products Association has set up a resource site complete with talking points. Schneiderman turned a deaf ear to their pleas and instead expanded his campaign. Comment: I was on a conference call with a half-dozen integrative medical doctors one day amidst of the first rush of bad press. The subject came up. All had heard of the AG's claim. None had heard of the industry's response. Each had simply accepted that this was just another example of poor product quality in the field. For industry antagonists: mission accomplished. Comment: Samueli Institute's decision to link with the Institute for Healthcare Improvement IHI was brilliant. So was its first step toward the Collaborative: a daylong convening of 45 integrative pain experts, in January 2015. IHI, arguably the most significant progressive force in U.S. healthcare delivery today, has not to my knowledge yet featured integrative medicine and health in its work. One of its co-founders, former CMS administrator Don Berwick, MD, has been engaged. This is a terrific method, and time, to bring Joint Commission recommendations and a Never Only Opioids approach to elevating non-pharmacological approaches in the treatment of individuals in chronic pain. Comment: It is a truism that life is most alive when one can see with beginner's eyes. Reading Shankar's journey will bring one back, from whatever entrenched, reified, and cataracted place one may find oneself to wonder again at the beauty of the chaotic diversity, challenges and possibilities that open when one leaves the rigid realm where single agents are king. The February 2015 issue of the e-newsletter for the Midwives Alliance of North America announced a $100,000 HRSA grant to "explore the impact of midwifery care on women of size and on older than average women as well as creating a predictive model to help us better understand when intrapartum transfer is more likely." The funds will support the merger of the organization's own data gathering on birth, MANAstats, with those from the American Association of Birth Centers (AABC) Perinatal Data Registry (PDR). This will to create "the largest available set of records on physiologic birth in the US." The data are anticipated to be of use to both midwives and families "as they look together at the variables that may impact transfer." An example is that based on the outcomes from the HRSA funded work, some "may choose to have a closer relationship with a physician because the likelihood of transfer is greater than average." Comment: The midwives are increasingly using this scientific name of "physiological birth" to take the place of "natural childbirth." The term is promoted in a strategic initiative of the American College of Nurse-Midwives. Like "psychoneuroimmunology" for mind-body, and "nanotechnology" for homeopathy, these are meant to skirt the prejudices of those in power. It will be nice when, like the Dutch, we will all again be proud of the midwives as the foundation of our system for delivering babies. With such respect for and empowerment of natural process, we may even have a chance one day for a "physiological" system for delivering health. 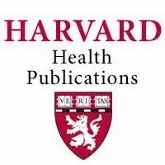 A recent publication from the Harvard Medical School's Harvard Health website positions chiropractors as far more than system tools to adjust the lower back of patients with acute pain. The document begins by speaking of the field as "a health care system." Then it continues: "While the mainstay of chiropractic is spinal manipulation, chiropractic care now includes a wide variety of other treatments, including manual or manipulative therapies, postural and exercise education, ergonomic training (how to walk, sit, and stand to limit back strain), nutritional consultation, and even ultrasound and laser therapies. In addition, chiropractors today often work in conjunction with primary care doctors, pain experts, and surgeons to treat patients with pain." 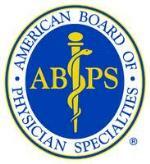 The new American Board of Integrative Medicine (ABOIM), a division of the American Board of Physician Specialties, has announced its first class of 121 board certified MDs/DOs. A video on the site offers a half-dozen perspectives from integrative medicine leaders who share their beliefs that this certification will one day become the standard that will assist patients and also others who wish to choose quality. Speaker Roberta Lee, MD suggests that as the field goes forward "many insurance based practices will require some proficiency and that going forward meeting this standard is a way of demonstrating this." Comment: The long journey since the fall of 2011 when leaders of the Arizona Center for Integrative Medicine switched courses and embraced this path has finally borne fruit. (See Special Report: "Strategic Change in Direction" as Weil's Arizona Center Commits to Creation of American Board of Integrative Medicine.) The next board exam is in May. It will be interesting to see how many, for instance, of the 3,000 certified in the past as ABIHM (American Board of Integrative Holistic Medicine) will choose to sit for what ABPS hopes will become the gold standard for integrative MDs and DOs. Yale IM Leader Katz and American College of Lifestyle Medicine Working on "True Health Coalition"
." Katz promotes his vision in a Huffington Post column entitled "The Case for a True Health Coalition: Who Hears Whom?" In a related piece on Katz' Linked-IN site, he directly calls on nutritionists to throw aside their differences - whether they are vegan or Paleo, for instance. He urges them instead to focus on common ground beliefs relative to the standard American diet: "In both cases- whether it's pure plant foods for us to eat, or the flesh of freely ranging animals in turn derived from the wild plants of their native diets- it's pure, minimally processed food, direct from nature or nearly so. Multicolored marshmallows are nowhere to be seen. Nobody is running on Dunkin." Katz, the president of the ACLM, launched an associated GLiMMER project (Global Lifestyle Medicine Movement to Effect Revolution) last fall. Former pharmaceutical executive Stephen Squinto, PhD, recently retired Alexion co-founder, is the first major backer. Says Squinto: "I've devoted my career to the pharmaceutical industry but certainly understand the power of lifestyle medicine in light of the fact that 80% or more of our healthcare costs are directly tied to poor lifestyle choices." Comment: From Katz, interesting ideas fly like morning birds from a roosting tree. The question is whether either of these seemingly interconnected ideas will have any legs. A first big penance investment from a former pharmaceutical executive can help, based of course on how much the figure was. I wonder if either might have more merit if more time is spent lining up allies than seems to be in the present strategy. The Samueli Institute, founded by CEO Wayne Jonas, MD via philanthropic partnership with Susan and Henry Samueli, has chosen to join the Integrative Healthcare Policy Consortium (IHPC). Samueli institute has for years been, with IHPC and the American Chiropractic Association (ACA), one of the only steady integrative health and medicine lobbying forces in the Beltway. The Institute has produced a great deal of impactful research in recent years, with federal and military funding, relative to integrative care. The Samueli decision follows the recent IHPC membership of the Academy of Integrative Health and Medicine and the National Certification Commission for Acupuncture and Oriental Medicine. This brings to 16 IHPC's Partners for Health. Comment: Over the years, the Integrator has referred to IHPC as "the little engine that could" for policy in integrative health and medicine. The organization has contributed a great deal since it was founded as a part of the now defunct Collaboration for Healthcare Renewal Foundation in 2001despite an annual budget that has typically been below $50,000. For many of its years, years, revenues have been far south of that. With these new members, IHPC has, under the direction of Len Wisneski, MD, chair, and Alyssa Wostrel, MPH, executive director, nearly shed the Little Engine handle. What it needs next is for the new leaders of the ACA, Tony Hamm, DC and Richard Miller, to finally bring the ACA into long-overdue membership. Though still "little" by the standards of mainstream medical lobbying, IHPC is now clearly the guiding light for the field. Let's see what this newly energized consortium can do. The term "integrative health" is defined in this page-long perspective from Meg Jordan, PhD, RN, CWP, the director of the Masters in Integrative Health Studies program for the California Institute for Integral Studies. Jordan positions the term as arising out of the complementary and alternative and integrative medicine movements. She speaks to the variety of professionals involved, offers 6 principles and this one sentence version: "Integrative health is an individualized, client-centered model of promoting optimal health and wellness, combining a whole person approach with evidence-based strategies to reduce disease risk by turning around lifestyle behaviors." Now we have the Maryland University of Integrative Health (formerly the Tai Sophia Institute). We have the Arizona Integrative Health Center (the patient care initiative of the Arizona Center for Integrative Medicine), the Academy of Integrative Health and Medicine (born principally of two holistic-integrative medicine organizations), and the NIH National Center for Complementary and Integrative Health (formerly the National Center for Complementary and Alternative Medicine). The accent on health rather than medicine has been the preference since 2004 with the Academic Consortium for Complementary and Alternative Health Care. It has now been embraced, with a twist, by the Academic Consortium for Integrative Medicine and Health (formerly the Consortium of Academic Health Centers for Integrative Medicine). I recall a time in 2007 or so when Lori Knutson, RN, BC-HN, the founding director of the nation's most significant inpatient-outpatient clinic, began referring to what they were doing as "integrative health" rather than "integrative medicine." So what is a sweet, short and sublime definition? One place where Jordan's start falls down is in confounding language regarding "therapies" and entire systems. While one of Jordan's principles rightfully calls out the "importance of collaboration among multiple disciplines," she writes: "The burgeoning field of integrative health draws fresh thinking and solutions from a world of healing options, including a broad understanding of complementary therapies such as naturopathic medicine, chiropractic, nutrition, diet and targeted supplementation, fitness and exercise, stress management, and yoga therapy, along with diverse, global healing approaches, such as Ayurveda, Traditional Chinese Medicine, indigenous healing arts and folk medicine." [italics added] Interprofessional respect, which Jordan's work with "healing circles" exemplifies, must begin with clarity that separate systems are neither "therapies" nor "approaches." Still, good food for thought for language wonks, here. In the late 1950s, the National College of Naturopathic Medicine (NCNM) was founded by a handful of committed naturopathic doctors from throughout the Northwest. The last naturopathic program had been discontinued. They sought to preserve a dying profession. Presently, NCNM, now the National College of Natural Medicine, is expanding its offerings significantly beyond its Classical Acupuncture program. Recently growth is most prominent through its School of Research & Graduate Studies. The dean of the school is Heather Zwickey, PhD, who also heads up NCNM's Helgott Research Institute. The rapid growth is evident in this sequence: 2012, Master of Science in Integrative Medicine Research; 2014, Master of Science in Nutrition; 2014, Master of Science in Global Health; and for September 2015, Master of Science in Integrative Mental Health. A communications official at the college, Marilyn Considine, notes that several other programs for the School of Research & Graduate Studies are under consideration and in various stages of development. Comment: The movement toward multidisciplinary, university status of former single purpose academic institutions is profound altering the landscape of integrative health and medicine. More programs allow more for more full-time faculty. Thus, potentially, the institution can increase organizational support for research, policy and community initiatives. The contributions of the following such institutions (with original lead profession in parenthesis) have been huge: Bastyr University (ND), National University of Health Sciences (DC), Southern California University (DC), Northwestern Health Sciences University (DC), Maryland University of Integrative Health (AOM) and University of Western States (DC). NCNM is, with New York Chiropractic College/Finger Lakes School of Acupuncture and Oriental Medicine, also multi-program and multidisciplinary. Challenging laws in New York reportedly hold NYCC back from university status. With these graduate programs, NCNM is already behaving like a university-level institution with its breadth of academic and community service. Personally, as the sibling of two mental health counselors, I am particularly pleased to see the September 2015 Integrative Mental Health program shaping up. That field is in desperate need of more connection to nature, exercise, food, supplements, and physicality. The University of Western States has announced an agreement with Legacy Health, the largest not-for-profit system in the Portland, Oregon area, through which chiropractic students in the UWS program will have the opportunity to "experience observational clinical rotations in various emergency room settings in the Legacy system." The design of the agreement is particularly for "sports medicine fellows who have recently completed the UWS Master of Science sports medicine degree and Doctor of Chiropractic programs." The program is led by Sara Mathov, DC, director of the exercise and sports science department at UWS. She states: "This opportunity is incredibly important for a variety of reasons. It allows the fellows to see medical situations beyond what is typically seen in a chiropractic office or training room. It also allows them to see what happens when patients are referred to the emergency room." Comment: This opening into the emergency care environment is significant, even if only for observations. It will be interesting to see how this toe under the tent grows and flourishes under the expansive UWS leadership of President Joe Brimhall, DC. In other recent news, UWS announced an articulation agreement with National University of Health Sciences to "enable UWS students and graduates of the doctor of chiropractic (DC) program to complete a doctor naturopathic medicine (ND) degree at NUHS in as few as four additional trimesters, saving both time and expense for students seeking both degrees." An article here in the Integrator Blog News and Reports describes the decision of Integrator publisher-editor John Weeks to works with a team at the peer-reviewed and indexed Global Advances in Health and Medicine Journal (GAHMJ). Weeks will contribute articles 8-10 times a month as The Global Integrator Blog on an open access site attached to the GAHMJ. Weeks was invited by GAHMJ co-founder and CEO Michele Mittelman, RN, MPH to work with editors Mary Jo Kreitzer, PhD, RN, FAAN and Robert Saper, MD, MPH and the rest of the GAHMJ team. Weeks will also produce a regular column for the GAHMJ. Some features will be known to Integrator readers. He'll use a report-comment format. A monthly Global Integrator Round-up will capture each month's activity. A Quick Links feature will offer very short notices - for instance here are 32 from January - on global developments in integrative, traditional, complementary and alternative practices. Readers can sign up the GAHMJ RSS feed and for GAHMJ E-Alerts. Weeks' first post shares his long-time and growing interest in the global scene: Global Integrator: Blogging Globally to Support Local Action in Integrative Health and Medicine. States Weeks: "I received a wonderful offer that met with a rising personal area of interest: the global movement for integrative health and medicine." Comment: Writing in the 3rd person about myself would have been more troubling 4 decades ago when I was fascinated and frightened by R.D. Laing and his The Divided Self and Knots. That aside, this note from my known selves in shocking unison is to let you who wish to know that this is a happy-making, intriguing and I hope useful engagement. I hope some at least of the content can prove as stimulating for you as it is proving to be for me. Zanzibar. India. UAE. Gambia. Canada. China. USA. Turkey. Thailand. Ghana. Philippines. And more. All engaged in integrating traditional practices in some fashion with regulatory efforts and Western medicine. The "them" is us. This monthly Global Integrator Blog feature highlights developments in traditional medicine and alternative and integrative health during a 1-month period. Here are 32 selections from India, Gambia, Vietnam, indigenous Canada, South Africa, Nigeria, Ethiopia, and elsewhere for the month of January 2015. Samples: In late-January meetings with Nguyen Hoang Son, deputy director of the Traditional Medicine Administration in Vietnam, traditional healers signed an oath to not use rhino horn medicinally. In South Africa, the Herbal Drugs Research Unit at Tshwane University of Technology will begin looking into the healing properties of the country's indigenous plants. They estimate that there are 200,000 traditional healers in the country. Much, much more. Integrative Healthcare Policy Consortium (IHPC) executive director Alyssa Wostrel, MPH, took part in a national TEDMED webinar on patient experience/patient-centered care. The panel included Joe Selby, MD, MPH,CEO of the Patient-Centered Outcomes Research Initiative and Stephen Horowitz, MD, an integrative cardiologist with the founding force in the patient-centered care movement, Planetree. Wostrel informed TEDMED's influential national audience about the importance of Section 2706, Non-Discrimination in Health Care to patient choice. She also noted the evidence available on enhancing patient experience and cost-savings via integrative health and medicine that is available via the Project for Integrative Health and the Triple Aim portal. Comment: I congratulated Wostrel for IHPC's good work in getting on the panel and asked what led to the invite. She gave the best answer possible: the invite came out of the blue, merely via IHPC's work and presence. Notably, panelist Nadine Burke Harris, founder and CEO of a program for at-risk children called the Center for Youth Wellness actively supported the importance of having acupuncture, specifically, available as an option. Nice job, Alyssa! In a solid February 9, 2015 New Yorker piece entitled The Trip Treatment, best-selling author Michael Pollan explores the revitalization of research, banned in the late 1960s, on the use of psilocybin and LSD as medicinal agents. Pollan reports research at Hopkins, New York University, and in England in which volunteers participate in facilitated, placebo controlled (with active placebos) "trips." Roland Griffiths, the lead researcher at Hopkins, states: "I don't want to use the word ‘mind-blowing' but as a scientific phenomenon, if you can create conditions in which 70% of people will say they have had one of the 5 most meaningful experiences of their lives? To a scientist, that's just incredible." Griffiths references the governmental taboo on research: "Can you think of another area of science regarded as so dangerous and taboo that all research gets shut down for decades." Modern neuroscience research Pollan document is discovering that one means by which the psilocybin seems to work is to "substantially reduce cognitive activity in the brain's ‘default mode network.'" This part of the brain is considered the "orchestra conductor," the corporate executive" or the "capital city" - a.k.a. the ego. If one inhibits the ‘default-mode' power of the constructed ego, other areas of the brain have a chance to appear, connect, and create different kinds of meaning. One observation from the NYU team: "The fact that a drug given once can have such an effect for so long is an unprecedented finding." Comment: One dates oneself if several family members or friends immediately alert one to this exceptional article. A first note for those of you who are experienced: the controlled environment appears to limit "bad trips." Pollan offers the researcher's safety rules for the road. Beyond the personal, one is struck by the policy consonance faced by these natural agents and those facing the multiple more mundane natural healthcare practices that are at the core of integrative health. For instance, perverse economics: a single pill that does so much is certainly and absolutely unfair competitor to a pharmaceutical firm's take-daily-and-forever depression drug. (I think I might support a ban on exploration too, if the die had cast me as a pharma player.) Second, the article notes the tension between those scientists who are comfortable with documented positive human outcomes and others who wish to sit on results until they somehow conforms to their idea of an understood intervention. This is familiar ground. The increasingly well-researched, extraordinary power of these mushrooms urges a reminder of the obvious: how can much of Western medicine continue to denigrate natural agents as placebos when coffee beans, John Barleycorn, tobacco leaves, tea, coca, opium poppies, marijuana buds, and psilocybin mushrooms are each mere herbs? Gosh, might there be substantial physiological power in scores upon scores of other botanical agents for myriad human conditions? What a prejudice in favor of human made and patentable versus natural agents and our self interest in our healthcare commons! What a shame that for decades the right to research that created the value found here was suppressed, even as active engagement of the licensed integrative health and medicine fields in researching their own value appears to being suppressed today. (See top article under "Policy" in this Round-up.) Where else is our collective brain being blockaded by a too domineering "corporate executive" who upholds the status quo. Perhaps, to invoke a sentiment from back in the day, someone needs to put a dose of "default mode uptake inhibitors" in the NIH's water supply. Shortly after some particularly powerful presentations at the 2015 Integrative Health Symposium (IHS) on environmental issues from Robert Rountree, MD, Walter Crinnion, ND, the IHS re-posted a 2010 column I wrote on its Integrative Practitioner website. The column was Forging Links between Holism, Integrative Health and the Environmental Movement: Is This the Time? I referenced activities of integrative pediatrics leader Larry Rosen, MD who runs a Whole Child Center and integrative psychiatrist Scott Shannon, MD, whose multidisciplinary clinic is call Wholeness Center. While drawing out the common ground, I ultimately expressed the view that the integrative health and medicine field should focus on firming its core coalition prior to extending into the environmental movement. This led to the following reader response from Henderson J. Smith, Jr, IIQTC, NQA Certified and Holistic Wellness Consultant. Henderson Smith: "Related to your closing comment - Humanity must focus on the big picture and the effect of our actions on all things both now and in the future. Nature is the great example. Billions of single cells make up our bodies; even they realize that survival is more certain when working collaboratively to support the "whole" host. A city cannot thrive if the infrastructure was not envisioned to support its growth. Why should the well-being of its citizens be governed by a different principle? The traditional medical establishment is conflicted between the ethical focus on human health and the socioeconomic profitability of treating symptoms. Humanities leadership is mired in the minutia of perception, finger pointing, separatism, politics, financial influence and institutional survival. Disruptive Innovation says that real change does not come from the same thinking that originated the problem. Silos of solutions will never solve the ‘whole' problem. In this work, survival of the host and its inhabitants is at stake on a global scale. Holistic Health and Integrative Practitioners were so named for a reason. If you don't consider the big picture and all parts of the ‘whole', who will?" Weeks: I told Smith that, today, I agree, both because the field has done a better job of firming up its connectivity in the intervening 5 years and the issues in the environment are pressing ever more forcefully into all corners of human and global health. Smith was pleased that I'd come around. I subsequently re-contacted Rosen and Shannon. Each responded. Larry Rosen: I continue my relationship with Center for Health and the Environment (CHE) and I know both Scott and I consider the widest parameters of environmental health strong threads in our work. Of course, I'm speaking freely for both of us! That 2010 CHE conference was one of the most powerful and enjoyable with which I've been involved. To see the mix of speakers/participants from all disciplines including education, ecology, health, philanthropy - we had Rich Louv, Fritjof Capra- just terrific out of the box thinkers. Might have to think about something like that again! The former U.S. Army military doctor, son of a minister, influential director of the former Office of Alternative Medicine and co-founder and president of the Samueli Institute Wayne Jonas, MD was honored with the 2015 Visionary Award by the Integrative Healthcare Symposium. Jonas. In his keynote on receiving the award, Jonas, a scientist who likes both basic and translational questions, teased his audience with multiple stories of the power of suggestion, of placebo, of intention, and of integrative health. Comment: Jonas path took a fascinating twist when a meeting 15 years ago with Susan Samueli led not to his direction of an academic health center integrative medicine clinic and program at UC Irvine but instead to the founding of the Samueli Institute. Some of my favorites of his work have been: the Institute's frequently frustrated but well-intended Optimal Health Environments initiative; the Wellness Initiative for the Nation (WIN) that shaped the National Prevention, Health Promotion and Public Health Council; and, alignment of interest note, the early link of the NIH OAM to real-world outcomes through which Jonas took a risk with a college drop-out and launched me into national work in integrative care via a paper he contracted which began ‘Match-maker, match-maker, make me a match.". Thank you, Wayne. Richly-merited award. Former research chemist and naturopathic physician Davis Lamson, MS, ND was granted a lifetime achievement award at the 4th annual conference of the Oncology Association of Naturopathic Physicians. Lamson has been a staff physician at Jonathan Wright, MD's Tahoma Clinic in Washington since 1988. Lamson was reportedly given the award "for a slew of reasons including his oncology teaching to generations of students at Bastyr University, his research contributions, his devotion to patient care, and most importantly his long-time support and persistence in pushing the profession forward." Comment: Good to see Lamson awarded. There was a time in the early days of the re-awakening of the naturopathic profession in which to have a former research chemist as an incoming student was a sign that the field just might have enough attractant to go somewhere. .He's been a significant contributor to his field ever since. 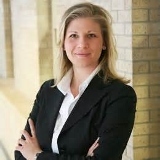 The awardees for at the late February 2015 National Chiropractic Leadership Conference included: as Researcher of the Year, Northwestern Health Sciences University's Michele Maiers, DC, PhD. Maiers work includes heading up the campaign to have the American Public Health Association adopt a position statement on non-pharmacologic approaches to pain, noted under policy, above. For Educator of the Year, director of chiropractic services at the Veteran's Administration Anthony Lisi, DC and University of Bridgeport faculty member. Comment: These two have each been remarkable contributors in multiple ways: Lisi principally, lately, in his daunting task of shaping the US Veterans Administration's inclusion of chiropractors, and Maiers via multiple channels inside research and policy. The American Botanical Council has announced its 2015 awards. Professor Harry H.S. Fong, PhD, received the ABC Norman R. Farnsworth Excellence in Botanical Research Award for 2014. Fong is professor emeritus of pharmacognosy in the Department of Medicinal Chemistry and Pharmacognosy at the University of Illinois where he was a close colleague of Farnsworth. The James A. Duke Excellence in Botanical Literature Award will go to Nancy J. Turner, PhD for her two-volume work - Ancient Pathways, Ancestral Knowledge: Ethnobotany and Ecological Wisdom of Indigenous Peoples of Northwestern North America. These are based on her research concerning the plants, practices, and ecology of native tribes. Finally, ABC's annual Varro E. Tyler Commercial Investment in Phytomedicinal Research Award went to Australia-based Soho Flordis International (SFI) for its "commitment to identifying and developing natural medicines with high levels of evidence of quality, safety, and effectiveness, and marketing them around the world." The pioneering work of anthropologist and author Marc Micozzi, PhD, MD in integrative health in medicine was substantial, and diverse. In the early 1990s, he convening a federally-sanctioned program on complementary and alternative medicine via the National Museum of Health and Medicine. He published the field's first textbook, Fundamentals of Complementary and Alternative Medicine in 1995 and subsequently directed the integrative medicine program at Thomas Jefferson University. I was in touch with him recently and asked for an update. Micozzi offered that the "main thing" is the 5th edition of the textbook, which has continuously been in print for 20 years. The edition, he wrote, will make the case that "contemporary naturopathic medicine represents authentic and self-conscious "integrative medicine." Never one to shy from controversy, Micozzi states that in a new chapter he will offer his opinion that "what is formally called ‘integrative medicine' does not in my opinion achieve meaningful integration." The book will have forwards from former Surgeon General C. Everett Koop, MD, George Lundberg, MD, former editor, Journal of the American Medical Association, and Adi Haramati, MD, from Georgetown, where Micozzi maintains an adjunct professor position. Micozzi is also working on a "concept about offering residential Nature Cure programs at Resort and Spas." Along that line, he will keynote speaker a 4-day educational conference at Bedford Springs Resort, September 10-14, 2015.